To use decentralized applications on EOS, you'll need to have an EOS account. An account stores all your basic data on the public blockchain, e.g. your account name, who controls it or how many tokens it owns. The way EOS works is that new EOS accounts can only be created by someone with an existing account. 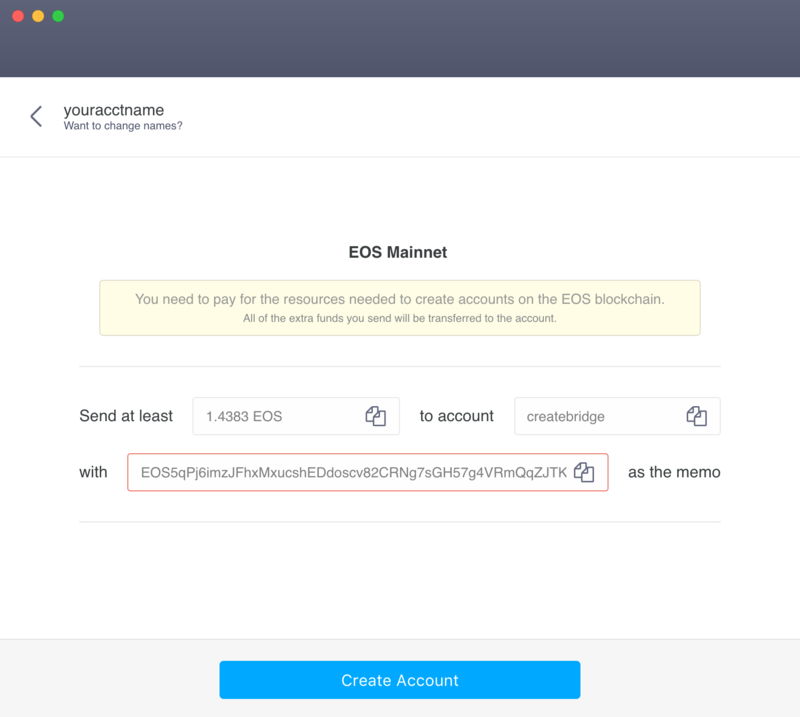 Creating an account also requires staking a certain amount of EOS tokens to make transactions and buying some RAM to store account data. Don't worry if this all doesn't make perfect sense yet. We'll explain exactly what this means step-by-step. An EOS account is controlled by at least one EOS key pair. It is referred to as a key pair because it consists of a private key that you keep hidden for yourself and the wallet software you trust as well as a mathematically associated public key that can be shared with the world to identify you. Before we get started, we recommend that you quickly read up on the difference between owner and active keys as these will be used in this process and it is pretty important that you grasp the difference between the two. 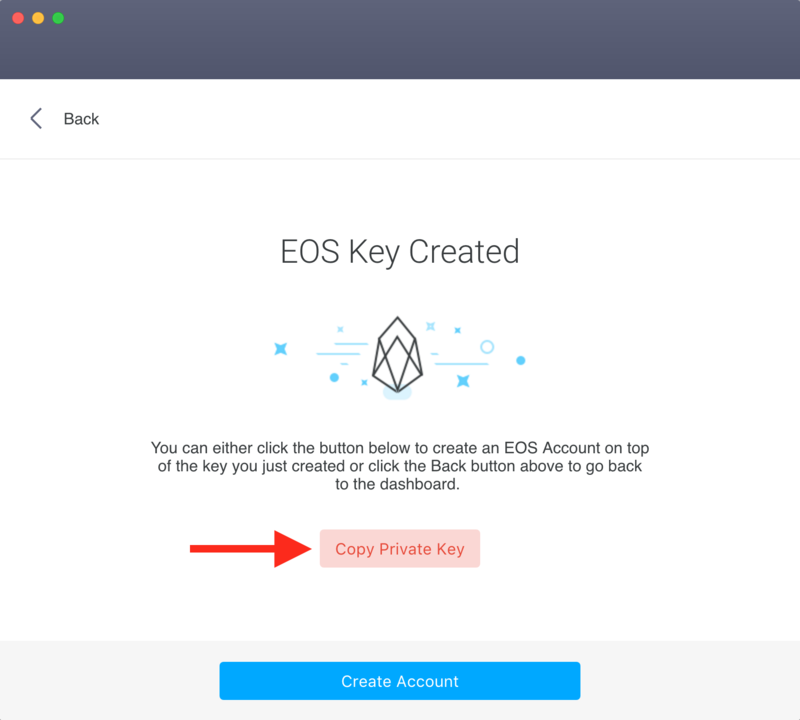 You'll have two ways to go about this: If you don't have an EOS account yet, then it's best to use an external service with keys created by Scatter. 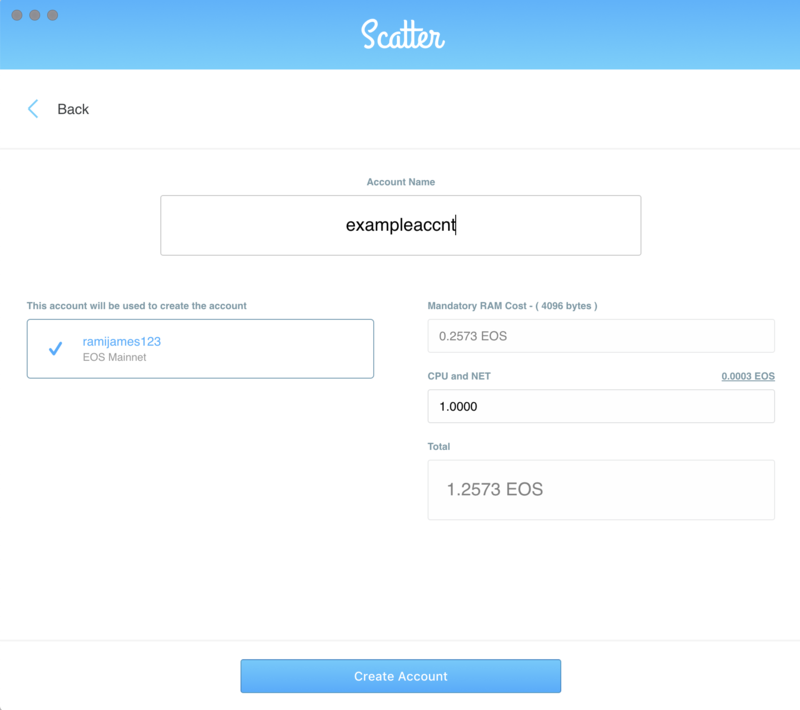 But if you already have an EOS account and are looking to to create another new account then it is simpler to use the Scatter "makeaccounts" service. Open up Scatter and select "Add Keys" from the bottom-left. 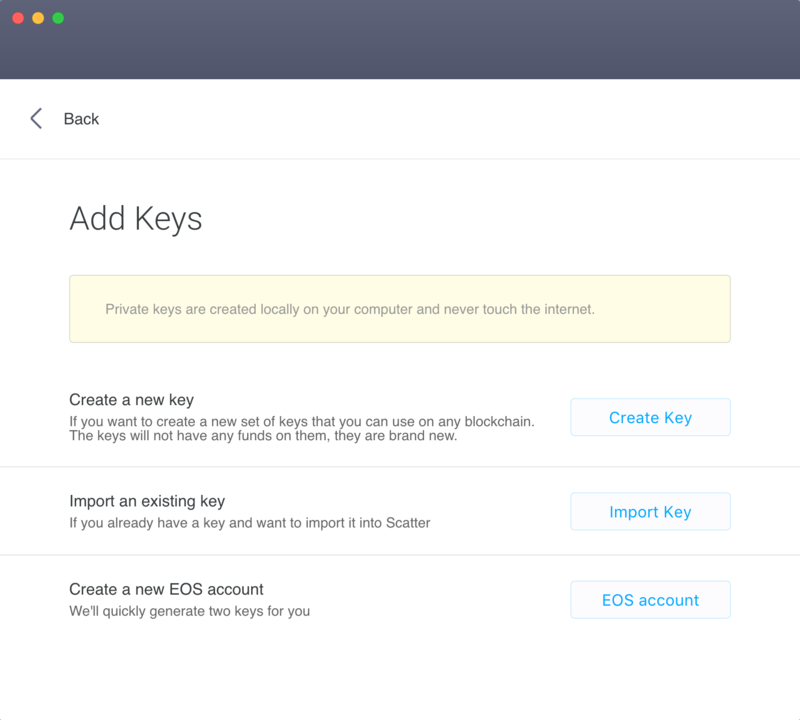 You'll then want to select "Create a new EOS account" to start generating your keys. Make sure to copy your private key somewhere safe! That means: 1. Print them out and keep them with your passports. 2. Keep a copy in a secure digital location. 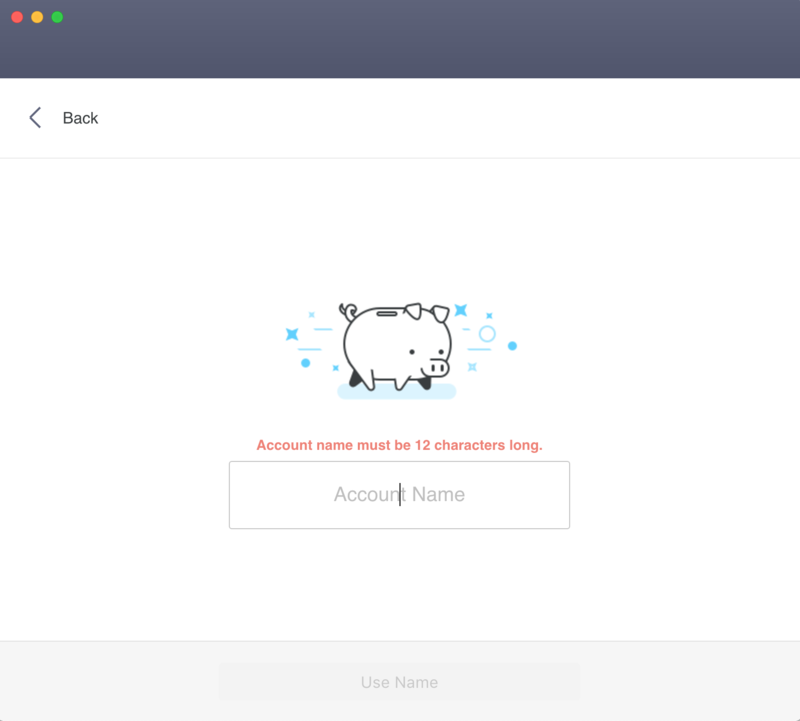 Now you're ready to hit "Create Account". Name your EOS account. It will have to be 12 characters long. If you would prefer to, you can use the linked service for creating an EOS account with a credit card. We recommend using this service to create accounts. 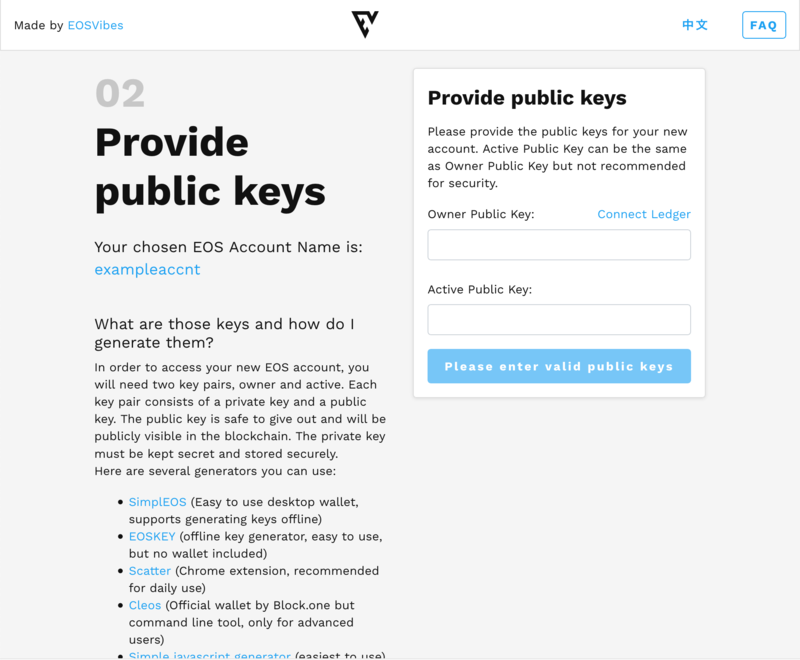 You'll need to generate and provide your public keys. Scatter can help create these for you! Paste in the two (public) keys you generated before with Scatter, one for Owner and one for Active. 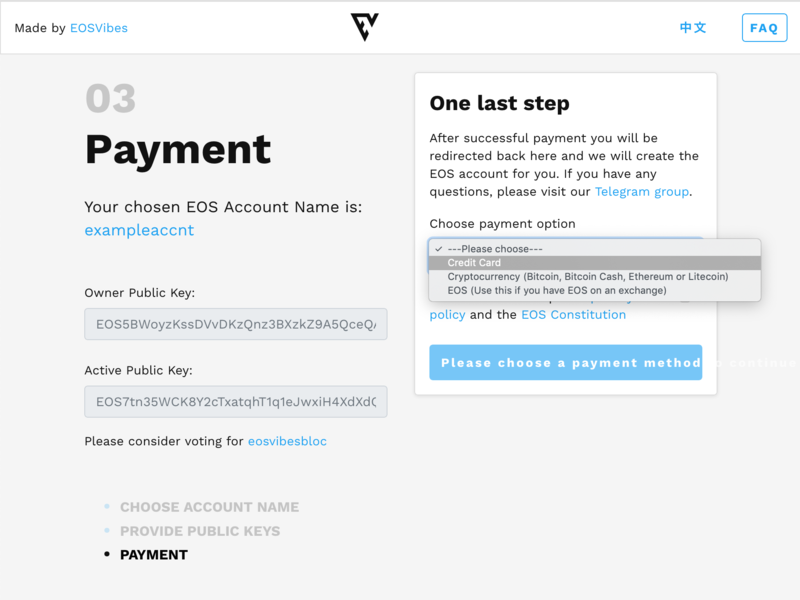 The last step is to pay for your new EOS account. You can do this with credit card, cryptocurrencies such as ETH or Bitcoin, or with EOS if you have some on an exchange. Once you have finished, make sure you keep your Owner account key safe. Preferably printed out and stored away from your computer. 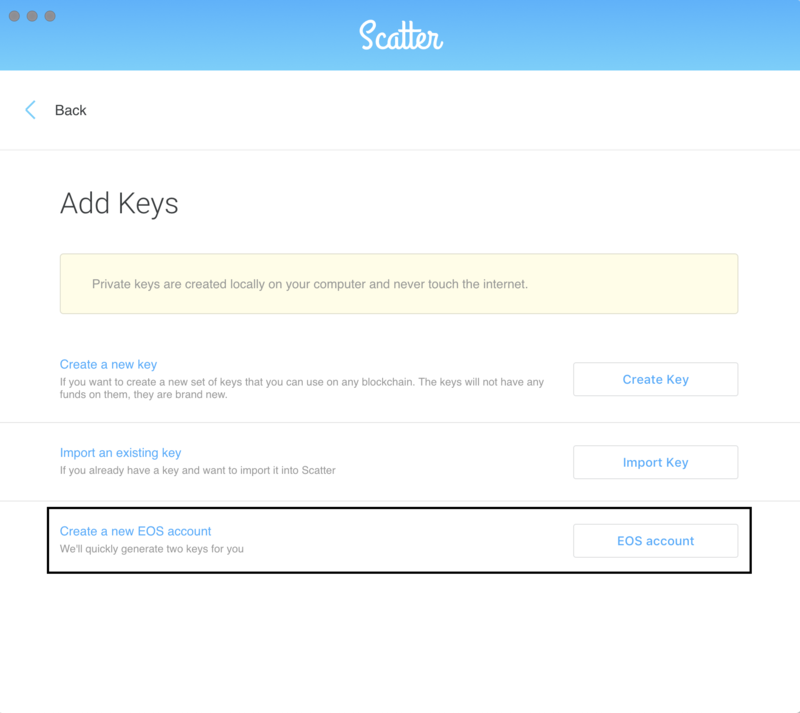 You can import your Active account key into Scatter with "Add Key". You can only do this if you already have an account as EOS requires that accounts be generated by other accounts. Open up Scatter and select "Add Keys" from the bottom-left of the home. 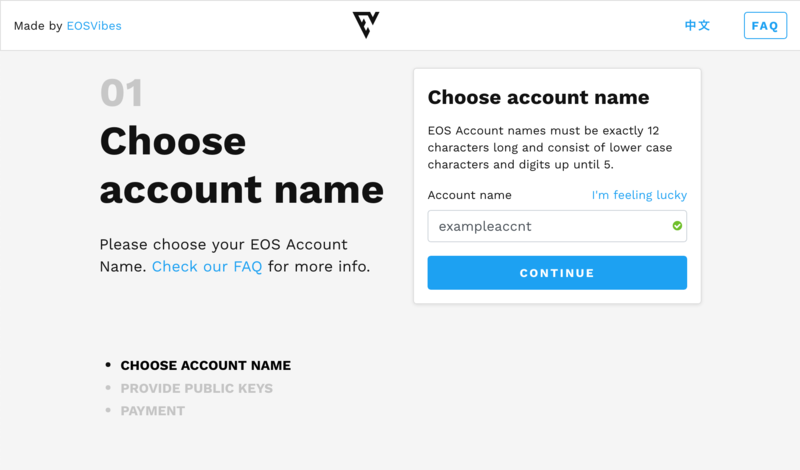 You'll then want to select "EOS account" to start generating your keys. Hit the bottom button called "Create Account" to get started. You'll get a popup from Scatter. If you want to create the account, simply hit "allow".